Looking for iPod Nano repairs Melbourne CBD? You've come to the right place - Fixspot is just around the corner. We're right in the middle of Swanston Street, just 5 minutes walk away from the Flinders Street train station. We're located in the heart of Melbourne, and we're ten minutes walk away from Melbourne Central. We offer 30 minute repair times for one part repairs, and the lowest prices in all of Melbourne. Contact us today to see just what we can do for you and your iPad Nano - and check out our prices on the pricing table to your left. We are confident in the quality of our repairs. However, if you do find you are experiencing an issue with your device, we offer a 3 month warranty on all repairs. 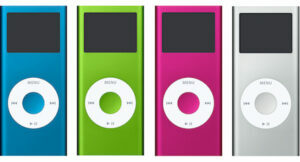 If you need further information on our iPod Nano repairs Melbourne CBD services, please don't hesitate to contact us.